All levels are welcome because our groups are purposefully small, so we can focus in each's person practice and adapt the asana (yoga posture) to their needs. The classes not only physical. We like to explain the benefits each yoga pose has, what muscles are we using and why it is important to use them. You will learn not only "how to" do yoga, but "what for". Our morning practice/class tends to start lightly to warm us up and help our bodies wake up, and then becomes more active. Our evening practice/class is usually less dynamic, however, since we are already awake and we have gained flexibility through the day, we tend to start the practice more dynamically than in the morning, and then end it with stretching and relaxing asanas (poses) to help us unwind and relax for the rest of the evening. Those are the overall rhythms of the classes. However, we intend to give a wide offer of different yoga practices, so each retreat date is customised by different styles. If you aren't too focused on any "style of Yoga", or if you want to try something different, any retreat would be great for you. 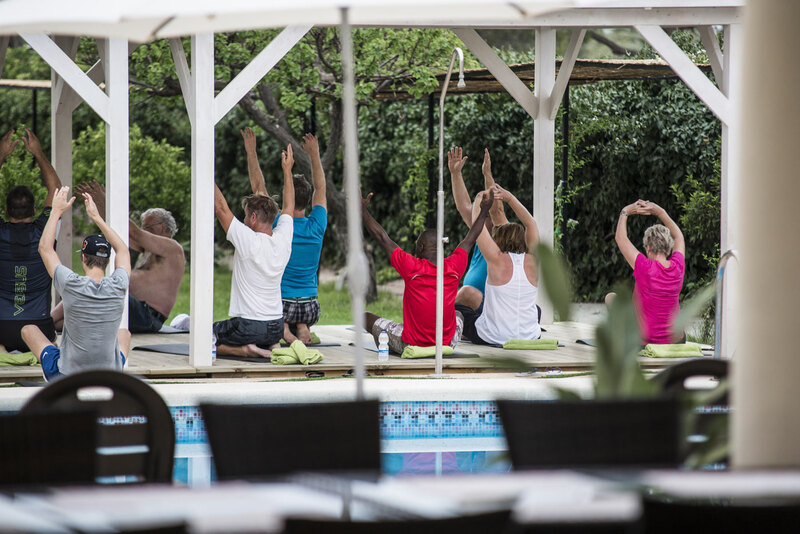 Having said all that, information about our amazing, experienced teachers, styles of yoga, and dates for each Luxury Yoga retreat in Spain can be found in our Rates and Dates tab. We intend to make your stay with us as hassle free as possible: We provided all guest with a personal, clean, recyclable yoga mat for their stay, as well as all equipment necessary and towels. © 2019 LuxurYoga. All Rights Reserved.